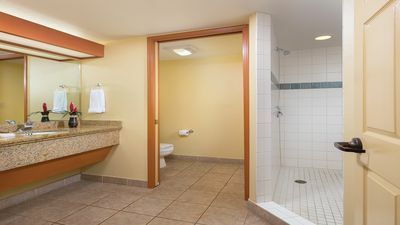 A full bathroom remodel and kitchen cabinets are scheduled for September 2019. 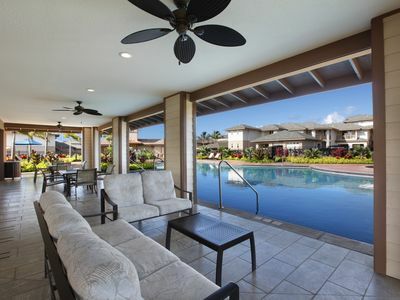 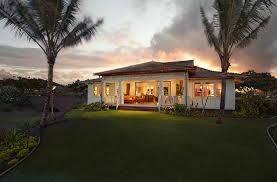 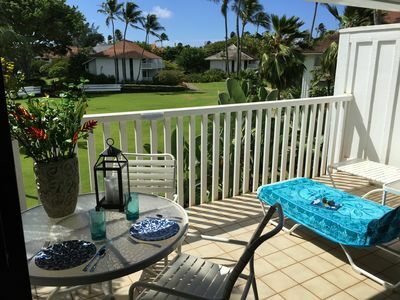 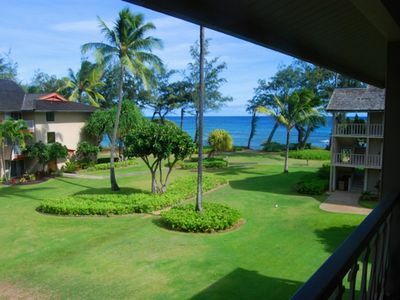 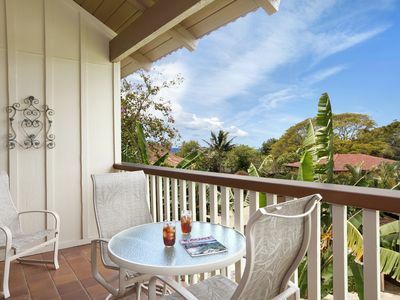 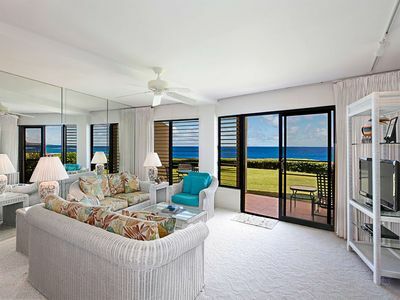 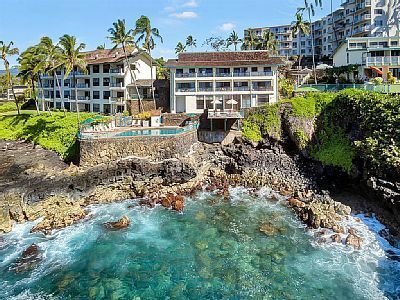 As Kauai’s only beachfront condominium resort Kiahuna Plantation combines plantation style architecture with lush tropical gardens and a “great lawn” that overlooks world famous Poipu Beach. 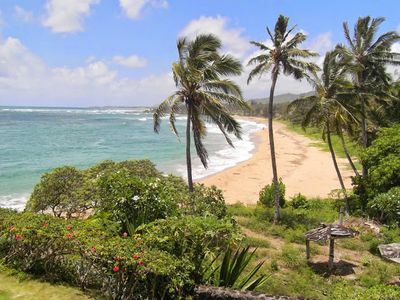 The stunning shoreline of Poipu Beach lies on Kauai’s sunny south side often making the top ten list of world’s best beaches. 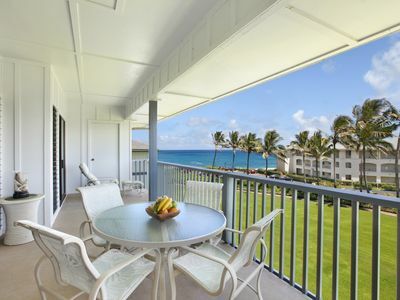 Drink your morning coffee alongside a resting monk seal or a swimming sea turtle. 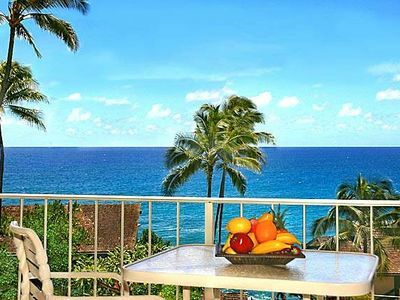 Enjoy swimming in the waves while watching the whales breach the water in the distance or feel the warm tropical breezes as you drink in the sunset over the glistening water (with or without rum). 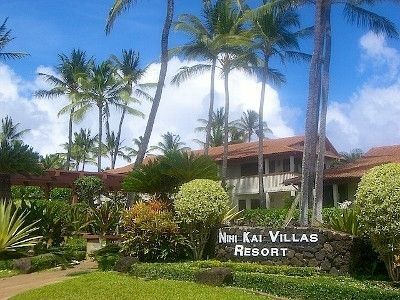 Unit 154/building 23 lies in the heart of Kiahuna Plantation. 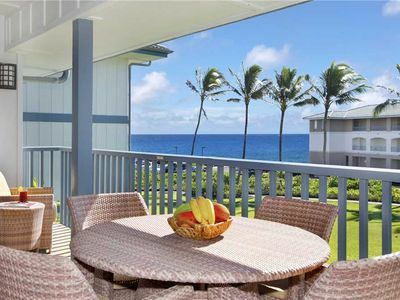 This second story unit will instantly transport you into relaxation mode. 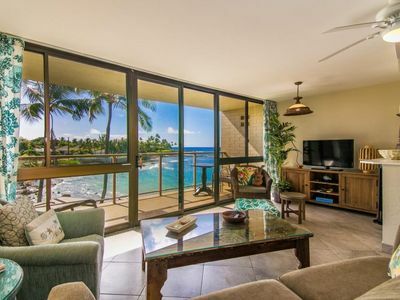 Trade winds blowing through the unit keep it cool in this warm tropical climate and you’ll wake to the sounds of island birds singing and ocean waves breaking. 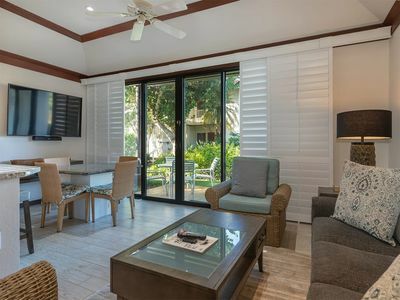 Brew your own coffee and savor the salt air on the lanai or walk beneath the canopies of Monkey Pod and Banyan Trees to purchase your favorite Starbucks brew. 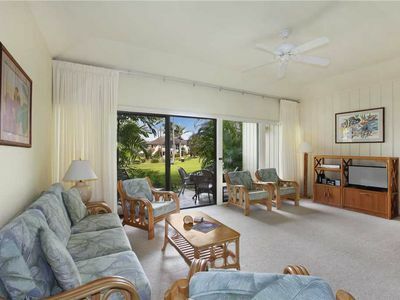 Updated with all new furnishings this unit will work well for families, honeymooners or snowbirds. 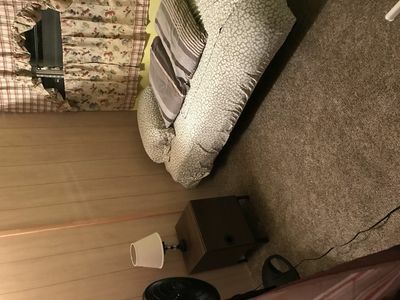 Sleeping up to four people (and maybe a child on a rented aerobed) this one bedroom condo has a king bed and a brand new pull out queen sleeper couch. 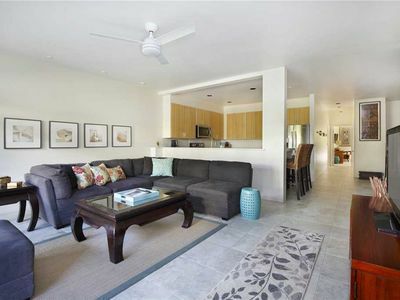 A complete kitchen is equipped for any level of cooking and the bathroom includes a bathtub and shower. 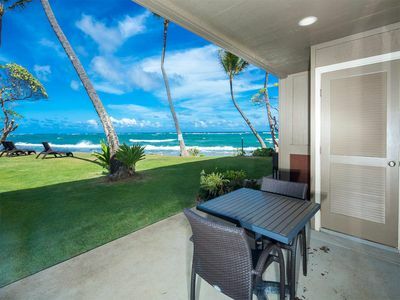 A three minute walk to the ocean this condo is a perfect way to spend time at the beach and run home for drinks and snacks. 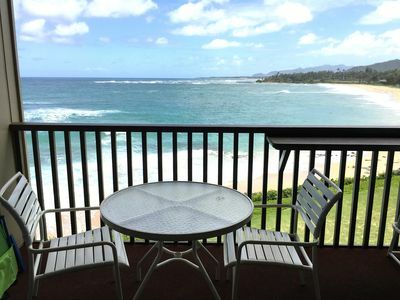 There are free towels and chairs at the beach for your use.